Mark Dvoretsky is widely regarded as one of the best teachers in the history of chess. Probably the best. Despite being a successful International Master and a member of top 100, Dvoretsky stopped his professional playing career and switched to coaching relatively early in his career. He quickly become renowned for taking 2000+ youngsters and transforming them into grandmasters. Over the next 40 years, he would raise several generations of strong Russian players and work with numerous grandmasters, many of them in the world elite. One of his most famous students was Artur Yusupov, who was number three rated player in the world at his peak. Other names such as Garry Kasparov, Vishy Anand, Veselin Topalov, or Peter Svidler can be found on the list of people who benefited from his teaching. Apart from being a chess coach, Mark Dvoretsky was a very prolific author. His books about chess training, such as Endgame Manual or Analytical Manual have become classics and a must read for any coach (and very strong players wishing to improve). In his books he talked in great length about his approach and philosophy as a professional chess instructor. 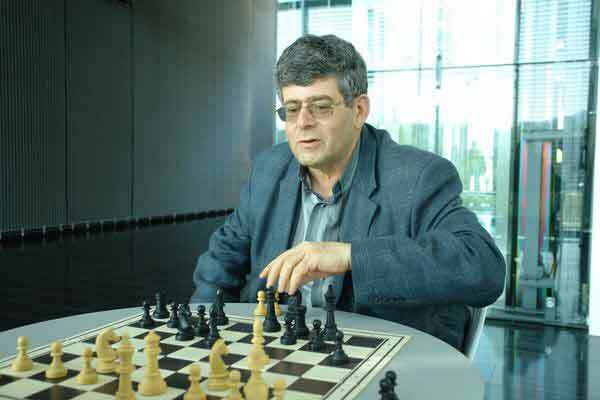 In this article, we will show the most important chess teachings of Mark Dvoretsky (M.D.). "It is impossible to become a World Class player without proper endgame technique". Dvoretsky was a firm believer that studying the endgame is a key to chess mastery. He devoted several books to this phase of the game (Endgame Manual, School Of Chess Excellence 1: Endgame Analysis and Technique for the Tournament Player). He was a fervent critic of top players who made critical errors in the final phase of the game. He even wrote a whole book on the topic: Tragicomedies in the Endgame. In his own words: "Practically all chess players I have trained have had a high level of technique and an excellent grasp of the endgame"
But how should one go about studying the endgame? Dvoretsky mentions some important points. 1. Learn theoretical endgame positions. Just like in the opening, there are certain variations you have to memorize. In the endgame, there are certain positions you can’t analyze, but have to know by heart. Vancura’s position, Philidor’s position, Lucena’s position are just a few. Yet, many chess players refuse to do so, probably because they think they can calculate everything with very few pieces on the board. Dvoretsky claims it is impossible to develop a good technique without knowing the theoretical key positions. 2. Improve the endgame technique. On the other hand, Dvoretsky also claims it is impossible (and futile) to memorize everything. The second part is improving your technique by analyzing endgames from practical play: "We shall now discuss how to raise the level of your technique. To do this it is necessary to study questions which are common to all (or many endgames)... The best way of learning all this is to analyse practical endgames played by the great masters”. Another method Dvoretsky used during his sessions was "endgame blitz". Dvoretsky would invite two pupils, set up an endgame from practical game and give each player a reduced amount of time (say 10 or 15 minutes). The students would then play a training game beginning from the given position. Endgame blitz wasn’t the only instance when Dvoretksy’s students played against each other. He constantly have them play training games where they practice different skills. • games where there is a grand strategical battle and positional finess is required. This method has multiple benefits. You are not only practicing a chess skill, but are forced to focus and think deeply and thoroughly. It tries to emulate the tournament conditions. It shouldn’t come as a big surprise that Dvoretsky was rather dismissive of blitz chess. He thought playing blitz chess doesn’t really count as working on chess, unless you are practicing a certain opening. His opinion was blitz chess is primarily a pleasure and that you shouldn’t do it while omitting other activities. Dvoretsky’s student, Artur Yusupov, stated that: „Without a serious study of the chess classics it is not possible to become a proper chessplayer”! Let us simply add that Dvoretsky himself thought not only the students, but also the trainers, should be familiar with the games of the giants of the past: "At certain stages in his development, every chessplayer is sure to turn his attention (more precisely, should turn his attention) to the study of our most valuable heritage. And, of course, trainers who work with young players need to be very familiar with the chess classics." Every chess player that solved such studies knows how beautiful and difficult they are. Very few people, however, consider them as a serious training material. They think what is the point of solving composed positions that will never appear in practical play? Dvoretsky is of a different opinion. He wrote that solving studies is fantastic for calculation exercise. He also wrote endgame studies are great for learning important endgame principles and playing with a limited amount of material. His books like Analytical Manual or Technique for the Tournament Player have chapters devoted to studies for practical players. He has even co-authored a whole book on the topic (the afore-mentioned Studies for Practical Players). In other sports, it is customary to have training sessions that put the player under abnormal strain. The idea is that he will find it easier to compete under normal circumstances once he experiences an extreme. Dvoretsky's approach to chess training was similar. He didn't hesitate to present his students with difficult, close to impossible tasks. His main goal was to force them to think as hard as possible during sessions. To solve difficult tasks. That allowed them to cope more successfully and confidently with less complex tasks arising in their tournament games. The point is that simply practicing what you know, without engaging your brain, is not most efficient. In order to make serious improvement, you need to practice deliberately. In his book Outliers: The Story Of Success, the author Malcolm Gladwell states it takes 10000 hours to reach a mastery in a certain field. Even though there is something in the fact hard work leads to result, there is a flaw in Gladwell’s theory. It is not only important how many hours you put in, it also matters what you do during those hours. Most of us spend 10000 hours of our life driving a car but almost none of us become a professional F1 driver. Dvoretsky’s approach to chess training was based on deliberate practice. He presented his students with difficult tasks that engaged them fully. And every task had a concrete aim of improving a certain skill or an area where the student was lucking. "Serious work with young players usually begins with a diagnosis of the student's strength and weaknesses"
We, chess players, are not very objective. We often don't really want a honest look at our own play to determine our weaknesses. We are also somewhat complacent. Even if we determine them, we still don't do anything with that knowledge but we continue doing the things we like and avoid studying things we don't like. Dvoretsky tells us it is the wrong approach. He teaches us it is crucial to determine our strengths and weaknesses. To aim for positions where our strengths have the opportunity to shine. And to work seriously and continuously on our weaknesses. "The fact that psychological warfare is an indissoluble component of the game of chess has long since ceased to require demonstration. But we are not so sure that we all understand the forms taken by the psychological factor in chess, ie., what needs to be done in order to make progress in this area." says the great chess teacher. It is well known that psychology plays a crucial role on the top level. For example, Garry Kasparov always chose the lines of play that his opponents disliked the most. Most club level players underestimate this aaspect. Even though we all play better against stronger opponents and worse against weaker ones, we still disregard the importance of psychological preparation. Dvoretsky paid much attention to the psychological aspect of the game. He teaches us it is not only important to know your own strengths and weaknesses, but also your opponents'. It allows you to steer the game into positions you feel more comfortable playing. And to play chess with more confidence and less anxiety. Last, but not least, readers might be wondering what was Dvoretsky's secret? Well, to be completely honest - there isn't one. Even though chess players would like to find a magical formula to chess improvement, there is no easy way to success. “In some questions people ask to get some concrete recommendations – at this level what should I do, at this level what should I do, this or that. […] Such advice is impossible to give. People are very different and there are many ways to success. […] To ask such a general question ‘what is better, this or that’ is just the wrong approach." 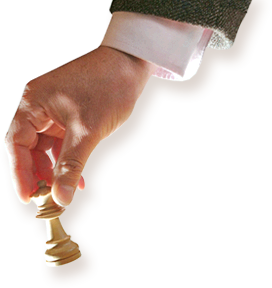 Hard, diligent and smart chess training is the only guarantee of improvement.